I’d hoped I’d be able to keep up posting during this week and next, but am not able to. I apologize for the lack of posts, and hope to be back by the end of next week. Know that you have been in my prayers in a special way. 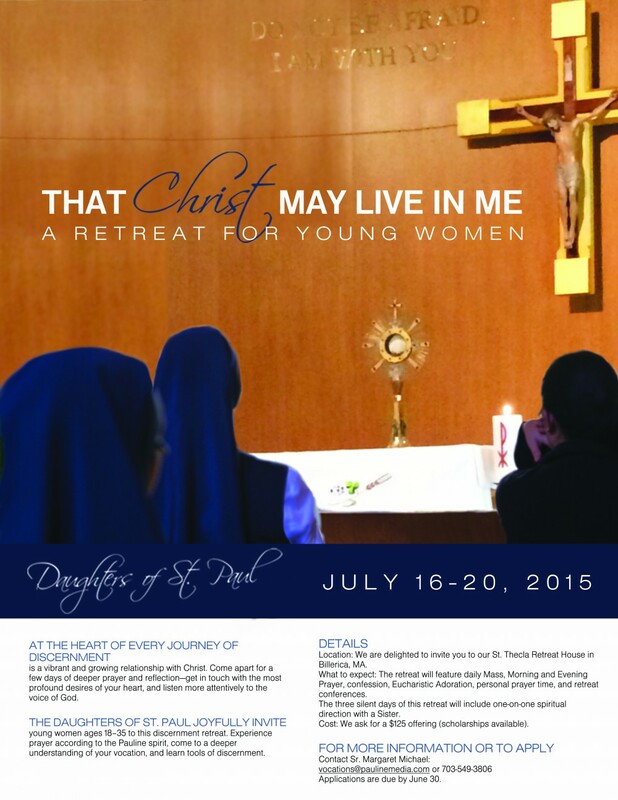 For the young women discerning religious life, I am posting below a couple of retreat opportunities that our sisters are offering this summer. 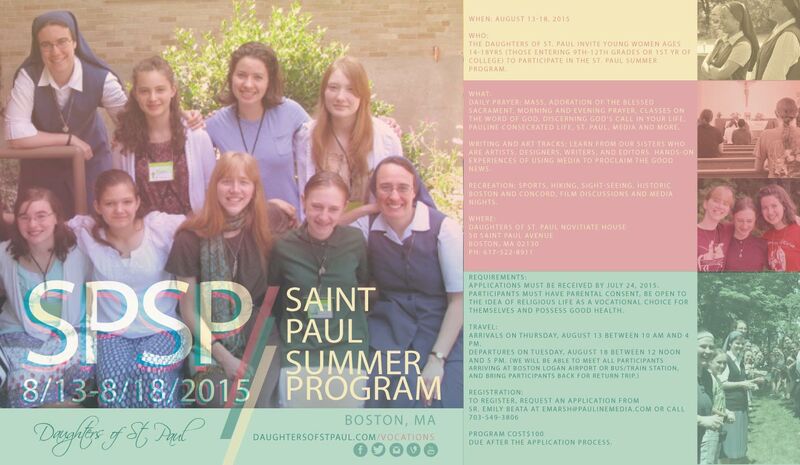 If you are interested (or you know someone who might be), please contact Sr. Michael at the phone number or email provided.